£12 per hour + holiday pay = £13.44 per hour. Uniform, flexible hours. You will guide visitors over the roof of The O2 Arena on the aerial walkway visitor attraction called 'Up at The O2' in North Greenwich. You will meet customers and train them in safety then take them onto the roof to show them the fabulous, unique views of London. 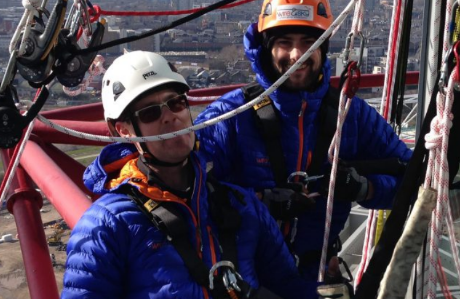 You will work with the other Wire & Sky Climb Guides who are great fun and have a brilliant team ethos. 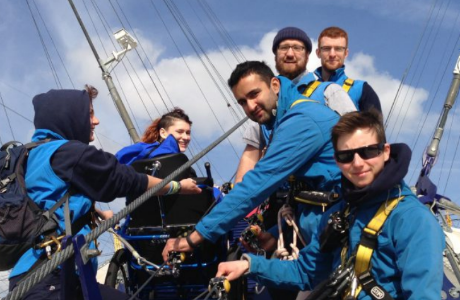 We will train you in first aid, emergency evacuations, communication and wheelchair climbing. All you need is to be confident, self-sufficient and dynamic and have great customer service skills. You need to be a natural communicator who has an affinity with people and an enthusiastic attitude. You must be responsible & conscientious and prepared to undertake a wide array of training to optimise the safety of the experience. You should be interested in the outdoors and adventure activities and ideally (but not essential) you will have some outdoor working experience. You MUST be available to attend a two week training course from 25th March - 5th April 2019 (Mon - Fri), for which you will receive expenses subject to successful completion. Simply click on the apply now button below to make an online application and don't forget to upload your CV. You must enjoy adventure activities and you should ideally have some relevant outdoor experience. Wire & Sky are currently looking for enthusiastic, motivated staff for our busy summer season in London. 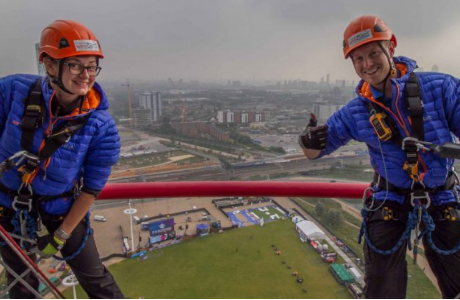 If you would like to join a large team of energetic, fun-loving outdoor enthusiasts, who get to enjoy the best views in London on Wire & Sky are currently looking for enthusiastic, motivated staff for our busy summer season in London. If you would like to join a large team of energetic, fun-loving outdoor enthusiasts, who get to enjoy the best views in London on a daily basis whilst helping create memories of a lifetime, this could be your perfect job. Wire & Sky designs and operates rooftop adventures on iconic buildings in cities around the world. We are looking for seasonal staff for our London operations. 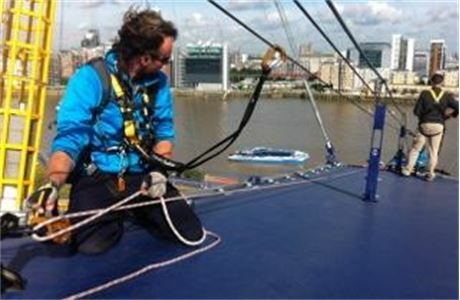 A challenging climb over the roof of The O2 Arena on a tensile walkway. A fantastically popular attraction, we are currently rated 25th out of over 1,300 visitor attractions in London on TripAdvisor. You would be required to guide customers over the roof, manage their safety and ensure an overall excellent customer experience. The most spectacular (and scary!) 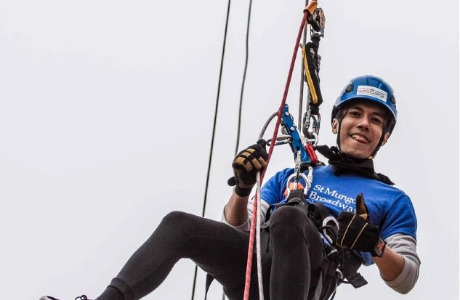 abseil in the UK, we operate from the iconic ArcelorMittal Orbit tower in the Queen Elizabeth Olympic Park. The abseil is 80 metres high and is a free fall abseil, meaning that once you have left the abseil platform, you will be in free space until you reach the ground! Relevant experience and / or qualifications are necessary to work on this one. 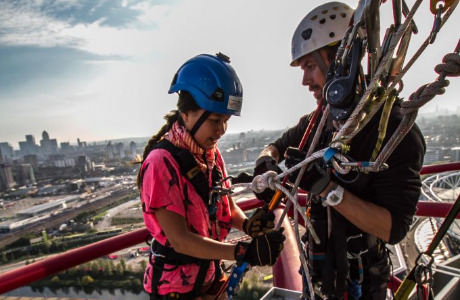 Wire & Sky also runs rooftop events including zip lines, concerts, TV programmes & stunts.